A federal civil case involves a legal dispute between two or more parties. A civil lawsuit begins in a federal court where the complainant files a complaint with the court and gives a copy of the complaint on the defendant. The complaint describes the complainant's injury, explains how the defendant caused the injury, and asks the court to order for a relief. A complainant may seek money to compensate for the injury, or may be ask the court to order the defendant to stop the conduct that is causing the harm to the complainant. The court may also order other types of relief like a declaration of the legal rights of the complainant in a particular situation. To prepare a case for trial, the litigants (person involved in a lawsuit) may conduct "discovery." In discovery, the litigants must provide information to each other about the case, such as the identity of witnesses and copies of any documents related to the case. The main purpose of discovery is to prepare for trial by requiring the litigants to assemble their evidence and prepare to call witnesses. Each side also has the right to file requests or "motions," with the court seeking rulings on the discovery of evidence, or on the procedures to be followed at trial. The common method used for the discovery is the “deposition”. In a deposition, a witness is required under oath to answer questions about the case asked by the lawyers in the presence of a court reporter. The court reporter is a person specially trained to record all testimony and produce a word-for-word account called a transcript. Judges encourage the litigants to try to reach an agreement resolving their dispute to avoid the expense and delay of having a trial. The courts encourage the use of mediation, arbitration, and other ADR (alternative dispute resolution), which are made for an early resolution of a dispute without having the need for trial or other court proceedings. As a result, litigants often decide to resolve a civil lawsuit with an agreement known as a "settlement." If a case is not settled, the court will schedule a trial and in a wide variety of civil cases, either side is entitled under the Constitution to request a jury trial. If the parties give up their right to a jury, then the case will be heard by a judge without a jury. At the time of a trial, witnesses are been testified under the supervision of a judge. By applying rules of evidence, the judge can decide that which information should be presented in the courtroom. Witnesses are kept out of the courtroom until it is time for them to testify to make sure that witnesses speak from their own knowledge and do not change their story based on what they hear another witness say. A court reporter keeps a record of the trial proceedings. A deputy clerk of court also keeps a record of each person who testifies and marks for the record any documents, photographs, or other items introduced for evidence. As the questioning of a witness proceeds, the opposing attorney may object to a question if it invites the witness to say something that is not based on the witness's personal knowledge, is unfairly prejudicial, or is irrelevant to the case. 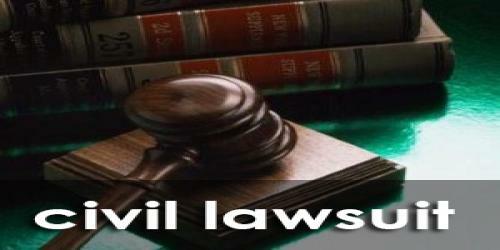 The judge rules on the objection, generally by ruling that it is either sustained or overruled. If the objection is sustained, the witness is not required to answer the question, and the attorney must move on to his next question. The court reporter records the objections so that a court of appeals can review the arguments later if necessary. At the conclusion of the evidence, each side gives a closing argument. In a jury trial, the judge will explain the law that is relevant to the case and the decisions the jury needs to make. The jury generally is asked to determine whether the defendant is responsible for harming the complainant in some way, and then to determine the amount of damages that the defendant will be required to pay. If the case is being tried before a judge without a jury, known as a "bench" trial, the judge will decide these issues. In a civil case the complainant must convince the jury by a "preponderance of the evidence" (i.e., that it is more likely than not) that the defendant is responsible for the harm the complainant has suffered.